Too often we think that trying to save money must mean denying ourselves of things we like. Not only does this make life more stressful, but it actually makes it harder to save money as you have to exert a lot of mental effort to do so. Once life catches up with you and other stresses arise you won’t be able to expend that extra effort and you’ll be likely to slip back into those old not-so frugal habits. Fortunately, this doesn’t need to be the case; here are some low-stress and even fun ways to save money. You probably have not used a piggy bank in ages, but consider channeling your inner child in order to save money. 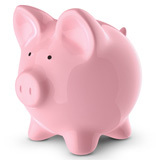 Place a few dollar bills into a piggy bank a couple times a week and you will see the amount grow at a surprising rate over the course of several months. This is one of the more fun ways to save money because you can physically see your savings increasing. If you have children, this is also a great activity to teach them about the value of money and saving. You’re awesome cooking skills (or computer know-how, or just about any talent that you have) might not be enough to land you a high-paying, glamorous position as a world-renowned chef, but that doesn’t mean that your talent is worthless. Chances are one of your friends, family members or casual acquaintances would love for you to share your knowledge or ability. You can trade your skill with someone who needs your expertise and receive something valuable in return. You won’t have to purchase as many items and services, plus you get to do something that you love. Few things can match the thrill of finding a stylish item on sale. Just because an item is not brand-new does not mean it cannot be new to you. 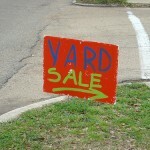 Check out consignment and second-hand clothing stores for great deals on hot items. If you can find a beautiful jacket at 1/3 of the new price, you can afford to splurge occasionally. Plus, if you later decide that it is not as awesome as you thought, simply sell it to recoup some of the expense of your purchase. 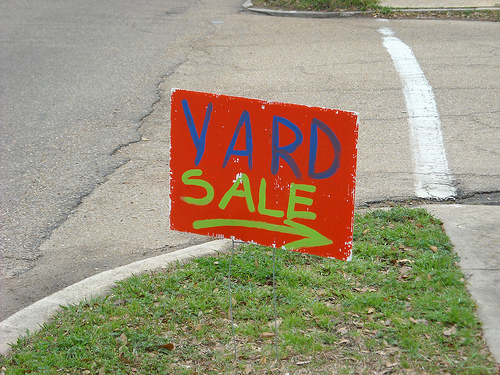 Ok, this one is really more of a way to make money, but it is still fun; hold a yard sale to sell the many items you do not need anymore. It will be embarrassing, but fun to go through your old clothes and other items and think to yourself “Why did I ever buy these bright pink high-tops? I hope there isn’t any photographic evidence of me actually wearing them.” Just remember that you will probably never use these things again, and you can get even earn some money for them. In fact, many old items are back in style now so you can earn decent money from selling them. As a bonus, you’ll gain some extra space in your closet and attic. Many people love trying out new restaurants, but as hobbies go, this one can be quite expensive. This is where the Entertainment Book can make all the difference. The initial investment is $25 but it is going to pay for itself once you use it a few times. Most large US cities are represented the Entertainment Book and inside you will find coupons for fun restaurants and shops. There are also regional coupon books that have specials for all of your favorite local hotspots. Our favorite out here in the Pacific NW is the Chinook Book, (also available in a few a few other metropolitan areas) which tends to focus on local, “green” businesses. These are just a few of our favorite fun ways to save money. There are plenty more out there. What do you do to have fun and save money? This entry was posted in Do It Yourself, Saving Money and tagged Clutter, declutter, make money, make money at home, Save money, ways to save money on September 26, 2011 by Jim McKenzie Smith.